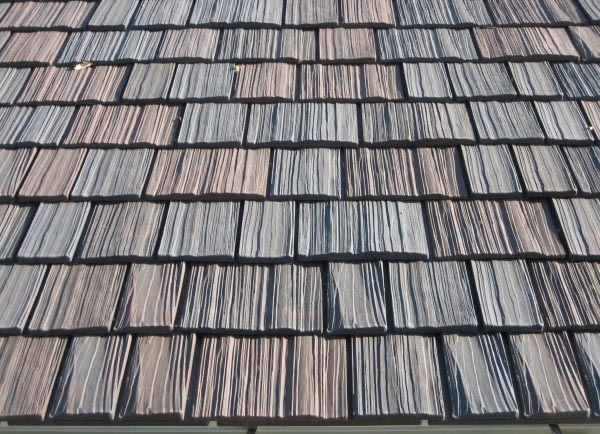 When you are deciding which type of roofing is best for your home it is important to know your options. While all of our offerings are extremely high quality and very reliable, every home is different. Wood shakes are very special because of the variations in the individual pieces. No two shake roofs will be the same due to the color variants, differences in thickness and width or simply the cut of the wood. The most reliable wood shakes come from the heartwood of large old cedar trees but with their beauty comes a few precautions that every shake roof owner should be aware of. Insects, mold and rotting are all risks for this particular type of roof but can be prevented if proper maintenance is observed. Also, wood shake roofs are more susceptible to fire so it is important to make sure that yours have been pressure treated with fire retardant. Every type of roofing has its own set of pros and cons but remember with shake you will be getting a beautiful roof that will also allow your home to breath, and insulate the upper level of your home. & the greater Seattle area.